Hello everyone. It's start of the work week so I will try to be productive. I have a lot of products lined up for review but I'll have to find time for editing photos as well as writing the actual review. The lack of updates is due to my erratic sleep schedule. :( Hopefully, I can sort out this soon. Anyways, let's get back to the review. I purchased this toner from Althea when they had their clearance sale. I think it was around Php 600 which means I only got this for a little over Php 300. This contains 250ml of product, which was a great deal I really should have bought at least two. AQUTOP believes retaining moisture inside skin helps maintain one's beauty. Most of the brand's skin care products contain cell-bionique water, which penetrates deeply to offer hydration, improve wrinkles and whiten complexion. 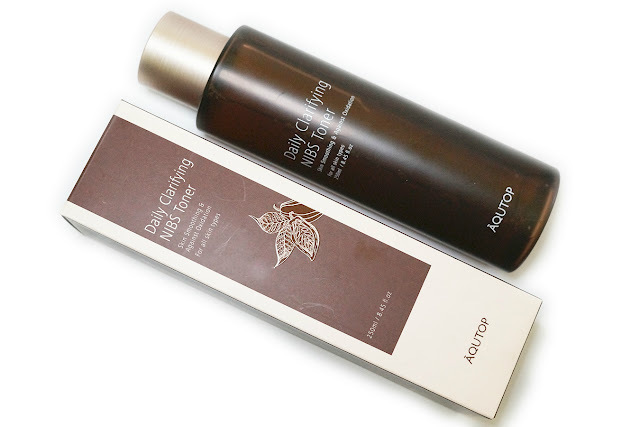 All AQUTOP products are 100% made in Korea, including the brand's bestselling Aqua Blooming Moist Tone Up Cream. 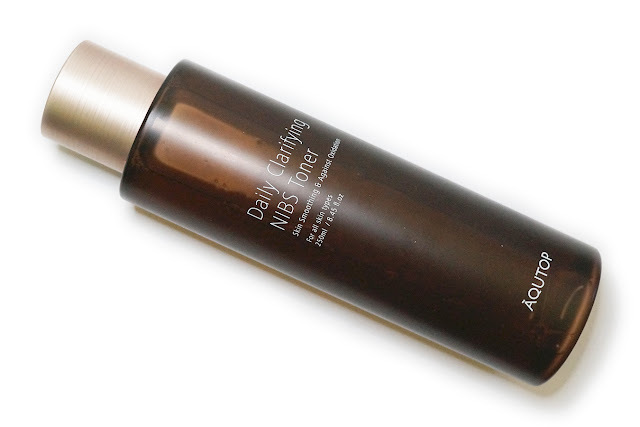 This is my first foray into the brand and I was mostly looking for a gentle, non-alcohol toner to use for my 7-Skin regimen and this one fits the bill. This claims to be "skin-smoothing and against oxidation" which I thinks means toning, moisturizing and anti-aging benefits. 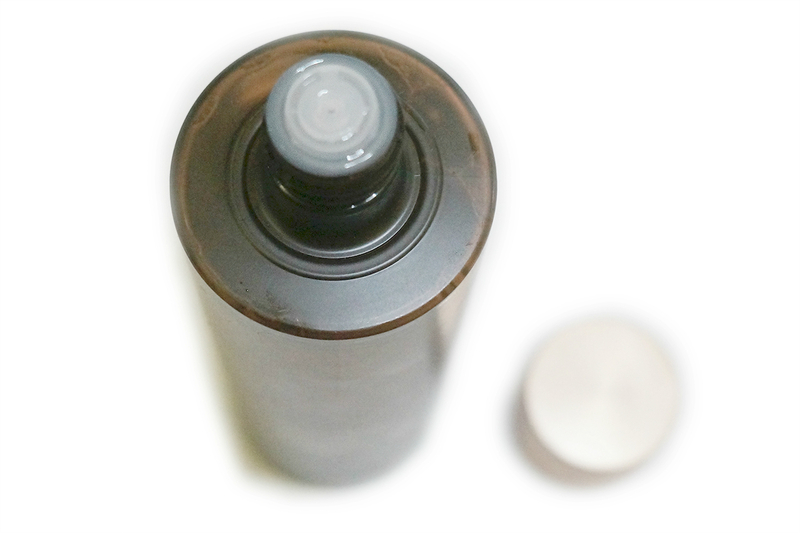 Aqutop Daily Clarifying Nibs Toner comes is a brown plastic bottle, with a stopper. The texture of the clear liquid is between water and gel. I like that this stills feels light (despite the gel-like consistency) and refreshing. The product absorbed quickly and left left a slight tacky feel to the skin that I didn't mind since it felt moisturizing rather than an uncomfortable sticky-feel. This has a prevalent (natural) flowery smell which was tolerable for me since it wasn't cloying, though the scen lingered for some moments. 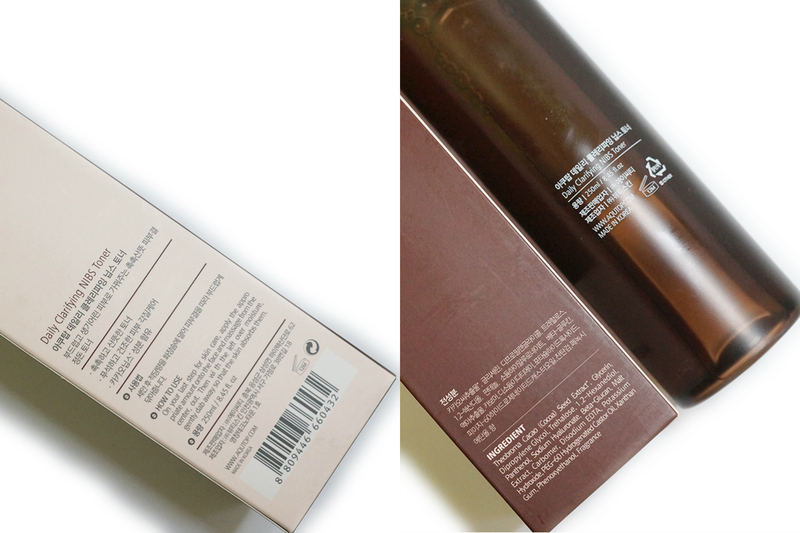 When used on my 7-Skin method, this toner delivered a lot of moisture. Sometimes, when my skin is not too dry, I'm satisfied with five layers instead of seven. My skin looks plump, refreshed and even-toned. It also brightened my complexion and helped with the healing of some blemishes on my face. 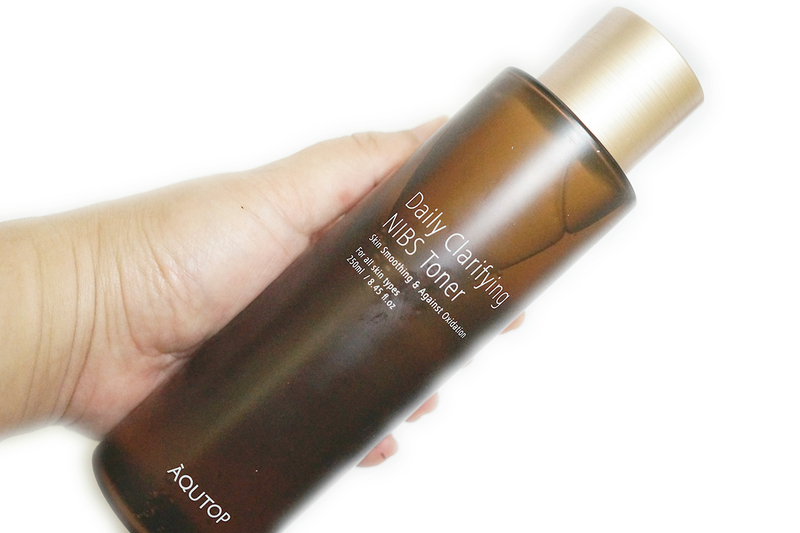 Even if used as a regular toner, Aqutop Daily Clarifying Nibs deliver good results and makes skin healthy-looking.